Perhaps you've already finished your shopping for everyone already (if you're that organized, stop it with that smug smile!) but have you thought about a hostess gift for the person who's having you over for turkey dinner or some other fabulous event during the holidays. Here are a couple of suggestions for gifts that ill make your host smile when you say, "Thank you for having us." Tradeworks’ decoration line includes iconic Canadian figures like the moose, beaver, and Mountie, but it also gives a modern twist to a traditional Christmas character. Santa Claus can be found in a meditative state in the full lotus position or stretching out in the tree pose as he dangles from the evergreen. 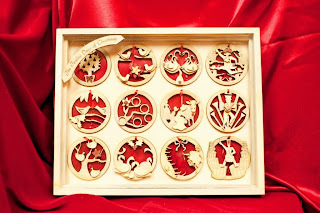 All the decorations are made from sustainable wood, and hand-made by women with barriers to employment in Vancouver’s Downtown Eastside. The decorations are available online at www.tradeworks.bc.ca or in select stores in Vancouver. Featured on BC Book World’s bestseller list, Hollyhock’s second cookbook is filled with mouth-watering recipes using the freshest local, seasonal and organic ingredients. Printed on 100 per cent post-consumer, old growth free, recycled paper, the book is a reflection of the simple, fresh and sumptuous meals that Hollyhock, Canada’s life long learning centre on Cortes Island, is known for. 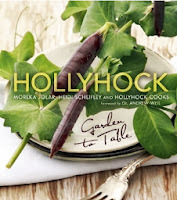 The cookbook is available in bookstores throughout Canada and online at www.hollyhock.ca.